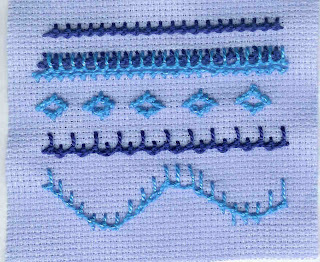 Here's a rather dinky sampler for Palestrina stitch as part of the TAST challenge. This was another one that was knew to me and I enjoyed doing it. The diamonds in particular were interesting. Your sample looks great Lynne I loved this stitch also.